We would like to welcome you to our Fullerton dental office. 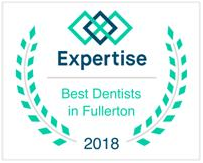 As a licensed dentist serving Fullerton and the surrounding areas of Brea, La Habra, La Mirada, and Anaheim for past 24 years, your smile is our top priority. Our entire team is dedicated to providing you with the personalized, gentle care that you deserve, with a state of art dental facility and cutting-edge technology. Dr. Anna Talmood is a USC Dental School graduate with extensive experience and a commitment to providing gentle dental care. Come and visit our Brand New state of art Fullerton Dental Office equipt with the latest in Dental technology equipment. Part of our commitment to serving our patients includes providing information that aids in making decisions about oral health needs. Throughout our website, you will find an abundance of information about our Fullerton dental practice, the procedures we provide, and how Dr. Talmood can improve your smile. We want to cooperate with patients, educate on possible treatments, and provide a way to achieve your smile goals. Our passion for dentistry is the reason we provide incredible care to patients in Fullerton and in nearby cities. We strive to develop long-lasting, trusting relationships with all of our patients. Whether you’re in need of a general cleaning, or are looking for cosmetic dental improvements, our dental team is here to help you find a solution. We want to give each patient the bright smile they deserve. Browse through our website to discover our conservative dental procedures, and to find out about possible dental treatments. If you want to experience transformative dental care, call our practice today, or schedule an appointment online. Feel free to read reviews from patients who have enjoyed our dental care.